Oxford’s university press was at one time set up in the newly-built Sheldonian Theatre, a most inconvenient location. When the university needed it for its real ceremonial function, all the printing equipment had to be moved out of the way. 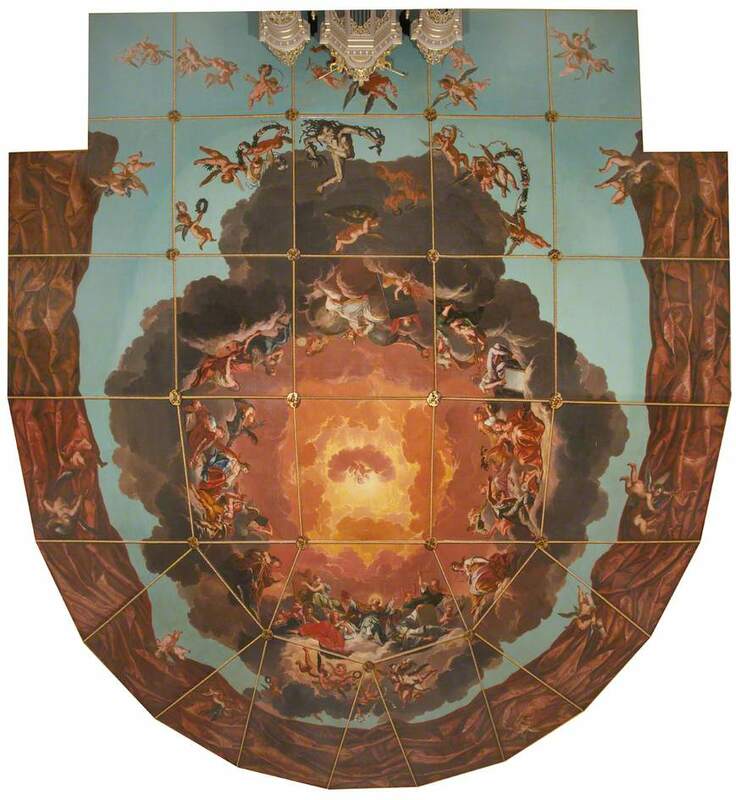 Not altogether inappropriate to put the presses in there: somewhere in this painting on the ceiling “Truth descending on the arts and sciences to expel ignorance from the university” 1668-9, by Robert Streater, printing is memorialized in the shape of a lady holding a typecase and a forme near some printed sheets drying. (I’m having to take the word of Professor Ian Gadd and Adam Smyth on this, as I can’t detect her in this picture.) Ever since, of course, we have seen the mission of all university presses as expelling ignorance from the university, and as many other places as they can reach. This information comes from a podcast available from iTunes, #3 of which is about the history of OUP.